Tenor Paul and faux bass, Yours Truly, sang in Fair Haven Church’s choir, which we loved doing, and there came to know one another. 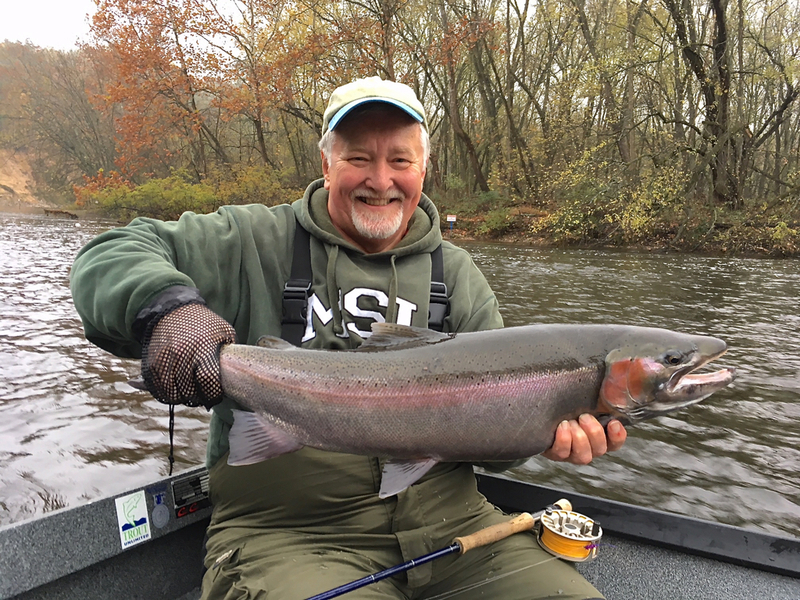 Paul and his friend Steve have fly fished with me a number of times, but today, Paul and Steve made some mighty fine music—not from the choir risers but with the Muskegon River’s fall steelhead. 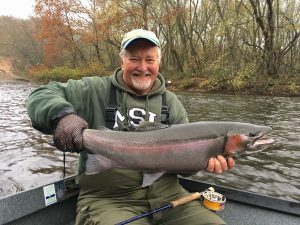 The guys hooked more than they landed; but, hey, that’s fall steelhead fishing. 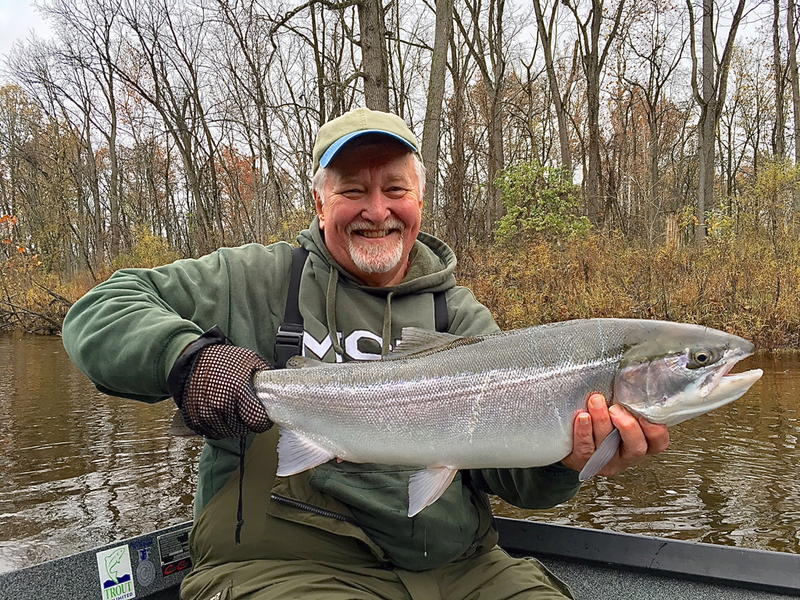 As was the case with the Chinook salmon run, our river’s fall steelhead fishery is the best we’ve had in years: more fish, larger fish, beautifully conditioned. Here, Paul poses a hen and buck, both of which put him into his backing and then some. Steve had his chances, but fate (a frayed tippet that parted on a smashing hit on his leach) and some unforeseen developments with another only whetted his appetite to get another shot at them in the future. Great fun, guys; thanks much!